Switzerland is perhaps known for three things: milk chocolate, watches, and beautiful mountain ranges. I think I’d like to add a fourth thing Switzerland ought to be known for: cows. Lots of them. Scott Sports kindly brought me out to their headquarters to see the new line of 2019 Scott bikes, and along the way I was able to soak myself in the unique environment of Switzerland. Cows were all over these Swiss mountains. In fact, nearly every mountain bike ride we did was interrupted at some point by a rogue cow on the trail. I half-expected to find cows on the gondolas we took to get from one village town to the next. Perhaps the only place that didn’t have cow-strewn trails was the famous Lenzerheide cross-country course, where the XCO World Cup Finals was held this year. There, I was able to ride nearly all of Scott’s mountain bike range, like the new 2019 Scott Ransom Tuned. There’s a ton of hype around this bike, and it’s well-deserved. It’s full of impressive specs, from it’s low weight, quality component spec, and smart integrated parts. My mountain bike is a 20 lb 100mm-travel hardtail with plus tires (more HERE), and the 2019 Scott Ransom is completely different. This long travel 29er climbs way better than I thought it would, but honestly it felt like it was a bit too much bike for me. That said, for those looking to hit rocky descents and jumps at speed, it’s an incredible bike. More-capable riders at Contender will have a full review of the bike up soon, I’m sure. Even though Scott released an all-new Genius trail bike last year, the 2019 model ups the ante a bit with the new 2019 Scott Genius 900 Ultimate, which features the all-new FOX LIVE Valve Suspension. It’s a trick piece of tech that really does make a big difference in pedaling efficiency and how settled the bike feels on the trail. Is it the right tech for me? Not too sure. I guess I just really like the Scott Spark RC, especially the 2019 Spark 900 RC SL I was able to ride with the new Syncros Silverton SL full-carbon wheels. Of course, the Spark RC is an excellent cross-country mountain bike, but what I was really impressed by was the wheels. They feel as light as advertised, but for a full carbon wheel (rims, spokes, AND hub!) they didn’t beat me up like I expected them to. Cornering was super precise, and as a package this might be the bike I was most impressed with. Additionally, the Spark did a good job of negotiating all of the wet roots and sloppy corners of the Lenzerheide XC course. An impressive bike, perfect for avoiding cows. One of the best ways to avoid cows is to take a gondola. They connect villages together, and are a welcome sight for weary legs. Why are bikes that descend well important to the Swiss? It’s because once you get to the top of each mountain, there isn’t a ton to see. Maybe I’m jaded, with all of the summits here in Utah. Regardless, there wasn’t much to see at the top, which made going downhill all the more anticipated. There’s no better way to explore the mountains than by bike. Every time I was on the mountain bike meant I had another chance to explore a new place, a new trail, and another place cows loved to congregate. Besides all the trail riding I was able to do, Scott had plenty of new colorways that looked great. I’m partial to the fade on this 2019 Scott Genius 900 Tuned (left), and the beautiful dark blue with turquoise and polka dots on this Contessa Genius 720 (right). I was also pretty excited by this special-edition Scott Spark 900 RC World Cup. This one features the new Syncros Fraser iC SL Special Edition integrated handlebar, which are designed to the exact fit pf World and Olympic Champion rider Nino Schurter. The only way I can describe this is aggressive. Maybe one day I can have a bike fit this aggressive. Outside of that, riding the standard Syncros Fraser iC SL integrated handlebar was a bit of a game-changer. The fit was more XC than what I was used to, but the steering is more direct and stable. It really felt like all I needed to do was lean and turn in with my hips, more than anything else I’ve ridden. It’s clear that Scott is putting a lot of effort into their e-bike line based on how many new and updated e-bikes had on display. It’s such an important part of Scott’s plan that when the head of Scott came out and directly addressed everyone, he talked almost exclusively about e-bikes. They’ve largely focused those efforts on Europe, but now they’re moving those efforts to the rest of the world too. The Spark eRIDE e-mtb (above) now fits both 29″ and 27.5″ plus tires, with an updated Genius eRIDE and Aspect eRIDE hardtail MTB. Nearly the whole Scott urban e-bike lineup received a refresh too. This trip was a whirlwind in every sense of the world, and by the end of the trip, I was fried. I wasn’t really even able to soak in views like this one. Huge thanks to Scott Sports for inviting Contender Bicycles to Switzerland to enjoy the best they have to offer. It really was quite an experience, cows and all. 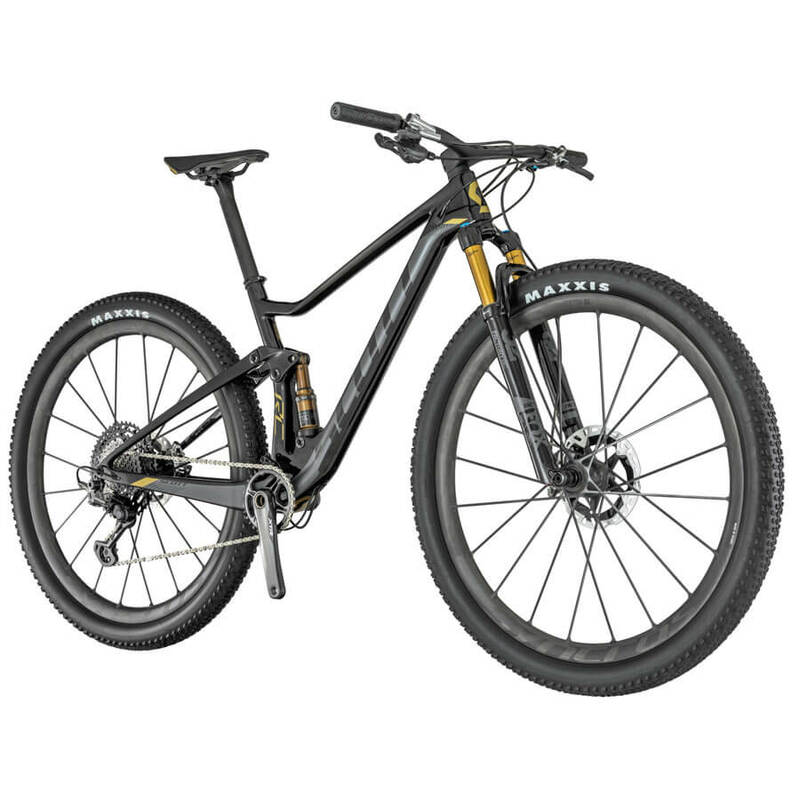 Have any questions about the latest and greatest in Scott mountain bikes, Scott road bikes, and Scott e-bikes? Give us a call during shop hours, or send us an email anytime to info@contenderbicycles.com.